Due to advances in technology most people can now wear contacts. There are now contacts for people with astigmatism and for people who wear bifocals. We offer an array of contacts including soft disposable lenses and rigid gas permeables. What is the lens that everyone seems to want? 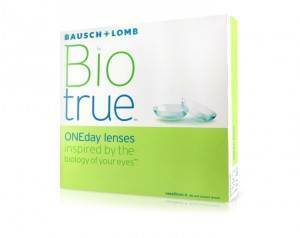 The Biotrue Oneday lenses! With the $210.00 Mail in rebate, these dailies come with a great price!